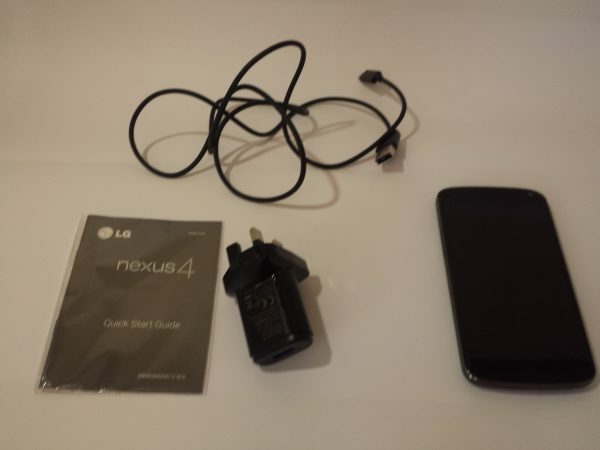 The kind people at Three have sent us a Nexus 4 for a review, and we have done what any gadget loving person, does, straight away! Opened the box, and looked straight in! And, yeah, that is it. Unlike most sets, they do not actually include headphones, or a headset. Much like all Androids, the setup is fairly quick and easy, and mostly includes you entering your Google ID/password, and letting it download all your recent apps, set up your Google accounts, and anything else associated with it. You will have to setup other apps such as Facebook, Twitter, Instagram, etc, but it will generally download them for you in case you have been using them on a compatible Android device before. Next story Nexus 4: Why?